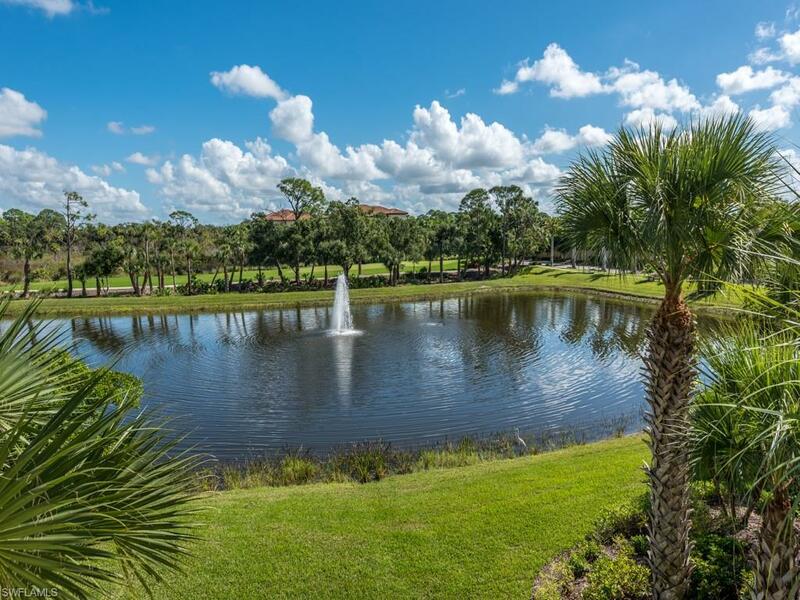 Stunning penthouse style living nestled within The COLONY Golf & Bay Club! TERZETTO is unique in building design & LUXURY. With only 1 condo per floor each has a full 2 car garage & Elevator that opens privately into your condo. Terzetto offers the feel of a single family home with a maintenance free lifestyle! This home offers privacy with a BEAUTIFUL view of the LAKE, WATER FEATURE, and GOLF COURSE!!! Offering decorative indoor remote control shades, wood & tile floors, outdoor storm shades, everything has been upgraded. The spacious GREAT ROOM floor plan with open island kitchen, stainless steel appliances, marble backsplash, granite counter tops, and matching WET BAR in great room! Having been built in 2014 still looks and feels better than NEW with all the UPGRADES!!!!!!!! !